Another Potential Government Shutdown... Oh My! The U.S. Congress runs up against their self-imposed borrowing limit once again this week. During the last tussle over the borrowing cap in October 2015, Congress agreed to schedule this week’s political theater to occur well after last Fall’s elections. They didn’t even bother to guess how much additional headroom would be needed. They just suspended the debt limit altogether. Neither Democratic nor Republican leadership wanted voters focused on borrowing and spending when they went to the polls. Government employees can count on eventually getting paid for any time they are furloughed. When the show is over, most in Congress will agree to saddle taxpayers (and their kids) with a trillion or two more in borrowing. Americans have been through this drill no less than 74 times since 1962. But any significant drama will impact markets – potentially driving some safe-haven buying which could boost metals. Is Trump’s Tax Plan Finally Coming? Investors have been anxiously awaiting the details of President Trump’s plan for tax reform since the election. The idea of meaningful tax cuts has certainly been well hyped. Last Friday, Trump suggested the cuts he will propose are the largest ever. And he renewed his prior promises of an imminent unveiling. Trump’s tax plan has been tangled up with the effort to reform Obamacare and infrastructure spending. In theory, the particulars of how much will be spent on healthcare, highways, and bridges would be an important factor when considering how much room there is for tax relief. In reality, however, it matters very little. At least not yet. 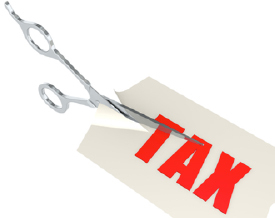 Congress can both increase spending and reduce tax rates at the same time. It simply requires unlimited borrowing (see above) – and, in recent years, the Federal Reserve printing a lot of money to buy government debt at below market yields. If Trump runs into trouble getting Congress to go along with big tax cuts, it won’t be because that august body suddenly cares about deficits. It will be more about politics. There are plenty in leadership on both sides of the aisle who simply want Trump and his agenda to crash and burn. The few representatives who do care about deficits and would like to impose some restraint understand that tax cuts can help pressure Congress to restrain spending. 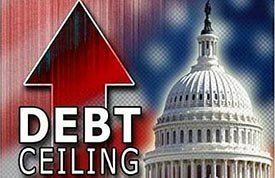 Any failure by Congress to address runaway spending will mean bigger deficits paid for in the usual way – more borrowing and printing. That should ultimately benefit precious metals markets.